A study has found that combining AV and audio makes a campaign more cost-effective. Commercial radio needs to prove its worth. That might sound strange when radio’s ad revenues are up about 2% this year, News UK has paid a 70% premium to buy talkSPORT owner Wireless Group and last week’s Rajar figures showed commercial radio’s share of listening at a 13-year high compared with the BBC. But the audio business faces a battle to keep its share of advertisers’ spend. Marketers have been shifting money into video (or audiovisual) because they see it as a better channel for brand-building. Now the radio industry wants to challenge that assumption. Radiocentre has commissioned research, entitled Radio: the Brand Multiplier, from Differentology. It shows that using a combination of audio and AV can make an ad campaign 29% more cost-effective than just using AV, because a brand can increase the number of times a potential customer will consider buying its product and audio is cheaper. The study has taken inspiration from Byron Sharp, who has argued that brands need to increase awareness and mental association in a crowded market. Sharp suggested that it will increase the number of times consumers will consider a purchase, dubbed "category entry points". Radiocentre’s research took six brands and six groups of 600 shoppers, and compared the effect of a mix of ads. Some saw just AV ads, some a mix of AV and audio ads, and some no ads at all. It found that when consumers saw two AV ads, there was a 23% increase in the average number of category entry points. But when a consumer was instead exposed to one AV and two audio ads, there was a 29% increase. Take that six-percentage-point improvement and add the fact that radio is cheaper than AV, and it makes radio more than 20% more cost-effective. Mark Barber, planning director at Radiocentre, claims the study is proof that radio isn’t just a tactical and promotional tool. "Radio has high reach, emotional influence and the ability to build fame, but nobody is using it in quite the right way," he says. Barber insists Radiocentre is not advocating that marketers take money out of AV as there is "a positive story for real-time, linear advertising" across radio and TV. He points out the research is "independent and transparent", unlike some of the claims made by tech giants about online video. "When you look behind the headline, there’s nothing there," he suggests, without naming Google or Facebook. "Advertisers have always thought visual-first," Barber adds. "This should encourage advertisers to think how their brand sounds. If you get audio right, it’s like earworms. It helps a brand cut through." Chris Binns, managing partner at MediaCom, warns: "There are a lot of trade bodies coming out with studies saying their medium works well in tandem with either TV or digital. They’re all trying to push the idea that multimedia campaigns are better than one medium, which is often true." Radio has gone "a bit out of fashion" and there are creative "difficulties" in making compelling audio ads, he adds. Ruth Cartwright, head of AV at Amplifi, says Radiocentre’s research is recognition that audio needs to justify its place "commercially and strategically". She adds: "It’s not about commercial radio in isolation any more. It’s about how it complements other media." Radio is seldom the first consideration in campaign planning. It’s not the first element of "the big idea" from a creative team, it’s not the first thing a client asks for, nor is it the evidence of effective creativity seen on many agencies’ websites. It’s often consigned to the harder-working end of campaigns, the tactical part, holding the offer and regional variations. When the question of emotional brand-building activities arises, the audiovisual nature of TV or, increasingly, online content, social platforms and experiential almost always take precedence. It is this position that Radio: the Brand Multiplier research from Radiocentre seeks to challenge by using the intellectual framework established by Byron Sharp in How Brands Grow. The key points are: lots of light category buyers are essential to penetration growth; chasing consumers less inclined to regularly buy requires the broad reach of advertising; brands need physical and mental availability to drive penetration; mental availability is built through a brand being salient in buying situations; and this is dependent on the brand having fresh links to as many category entry points – reasons to buy – as possible. Radiocentre used existing FMCG brands, from instant coffee to household cleaning, to explore the impact that audio can add to audiovisual advertising in terms of the number of CEPs a brand is linked to (the more entry points your brand can be freshly associated with, the greater the likelihood of being bought in that consideration moment). The research demonstrated that it is possible to combine audio with audiovisual to effectively link a brand with one extra CEP. This is important because it makes the brand spring to mind in another purchase situation. The study also demonstrated that combining audio with audiovisual increases the overall share of CEP associations for brands within an entire category. So the approach works for all brands, big or small, associated with many or few CEPs. Within these results, audio ads achieving the strongest results used an existing, distinctive asset from the TV ad. This is reassuring because it means advertisers can adapt audio assets from TV into radio advertising successfully. By following Sharp’s theories, this research shows radio is a cost-efficient part of any brand-building communications plan. It makes me excited about what’s next for audio. We live in a hyper-edited visual culture. Communications are increasingly reduced to emojis, filters and simple forms of self-expression over almost any form of words on platforms including Snapchat, Instagram et al. But the world may be changing. 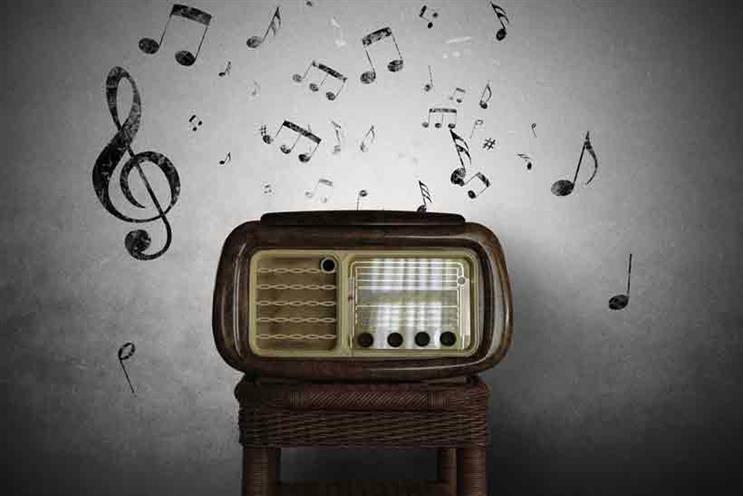 We think of audio advertising as sitting within the medium of radio as we know it. It is interesting to consider smart devices that will emit and be responsive to audio interaction across a wide range of situations and needs that provide the context to (or are) the CEPs that Sharp outlines. Recent studies have pointed towards the evolution of the human voice as the interface of the future.